RICHMOND, Texas - March 13, 2019 - PRLog -- Looking for a Roofing Contractor? 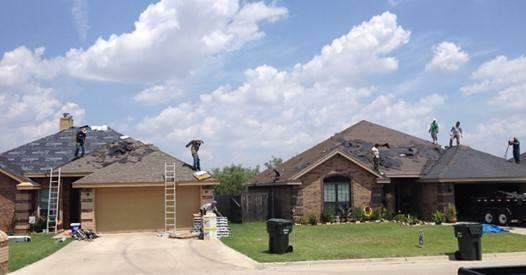 The Texas area is saturated with many roofing contractors and when there's a major storm you'll find our state creates a gravitational pull for all of the roofers in the U.S. It can be a very difficult task choosing a roofing contractor especially since many homeowners aren't educated with the roofing process and contractors can be hungry as ever after recently "robbing Peter." These situations have created a lot of distrust in the roofing business and has knocked our industry down closer to the automobile sales profession. This is one of the contributing factors that consumers have been led to lean their trust in organizations like Yelp, Google, Facebook and Nextdoor. At Kingdom Roof and Fence, we have been roofing for a decade and make sure every client is informed and educated regarding the "good, better and best" products in our marketplace. Starting with the vortex of air circulation in your roofing system to the synthetic underlayment of your shingles. Later in the process we discuss the different shingle quality options available from wind/hail ratings to designer color sequences and high profile ridge caps. This whole process can be very confusing and most homeowners here in our Richmond, Houston and Katy Texas area will only have this done once during the ownership of their home. You can rest assured that we are on your side and will help you every step of the way with professional recommendations and expert options. Most of the greater Houston Texas area thinks that getting your roof approved for replacement by your insurance company is reserved for properties that have been a landing spot for large hail. This actually isn't exactly the only criteria for approval as we at Kingdom Roof and Fence have helped our clients get many roofs bought from wind damage over the years and minimal hail every few years. The truth is, most roofing systems that were installed by a builder are only expected to last for a maximum of 20 years. This means, if you have a roof that's already seen 10 Texas summers, you really need to take advantage of our free inspection by our pros. Once you can see water damage inside of your home, the leak will have already forged a significant trail behind the scenes. We ( https://vimeo.com/kingdomroofandfence ) try to make it as easy as possible for our clients to do business with us ( https://twitter.com/KingdomRoof ). Simply give us a call at 346-291-4492 to set up your free roof inspection and allow us to give your home a clean bill of health. It's important to also remember that your roofing system should be caulked and sealed every three years. If you haven't done this or just would like to have us come out and take a look, we'd love to! Do you have a steep roof? No Problem! Just need a simple roof repair? Check out our $199 special! Once again, give us a call at our office or visit us online at kingdomroofandfence.com for more information. We will be looking forward to hearing from you.